Collins Booksellers - Roget's Thesaurus by Peter Mark Roget, 9788869094965. Buy this book online. 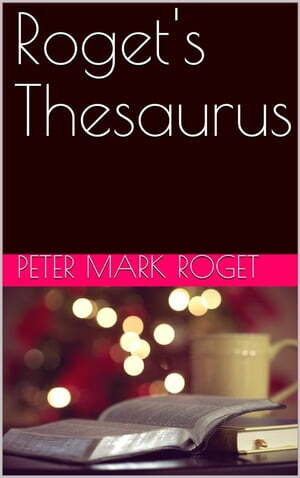 Roget's Thesaurus is the simple, reliable way to find the perfect word for your needs. It features an easy-to-use dictionary format plus a revolutionary Concept Index that arranges words by idea, thus enhancing the user’s process of association and leading to scores of additional selections. The inclusion of a wide spectrum of words and phrases with each entry (from sophisticated choices to completely new vocabulary in the language (brings users an exceptional number of alternatives to fit any variation of style and tone.